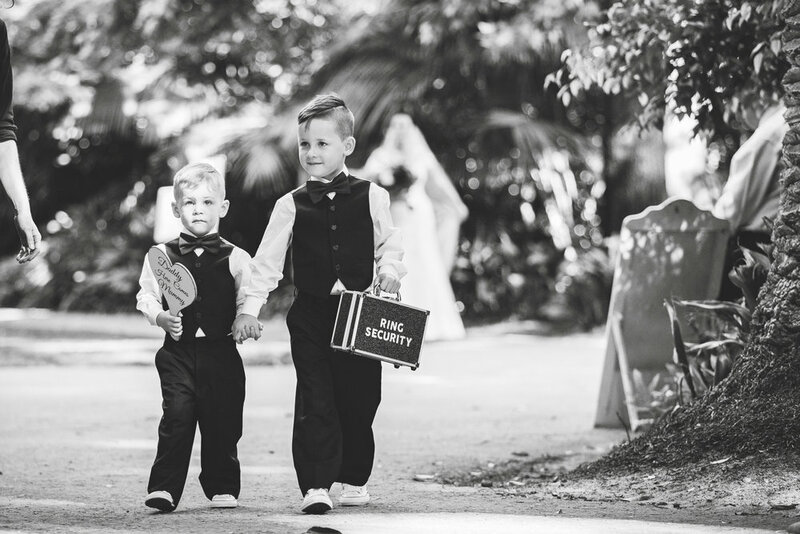 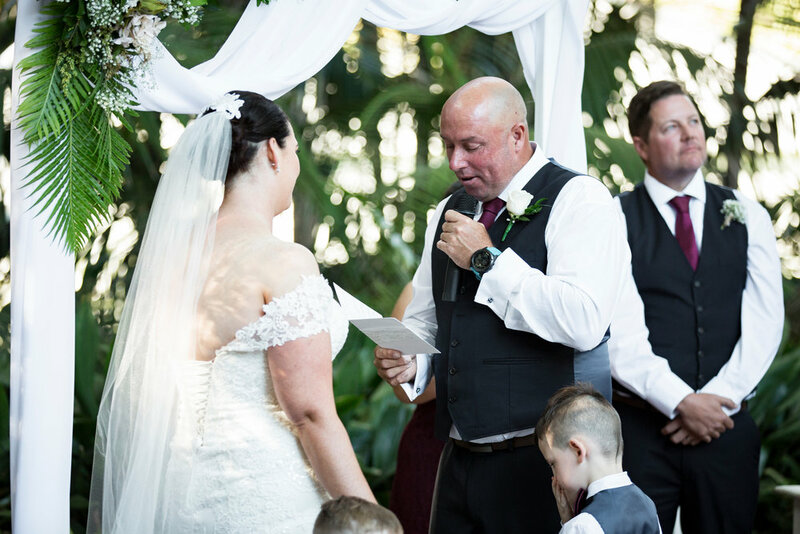 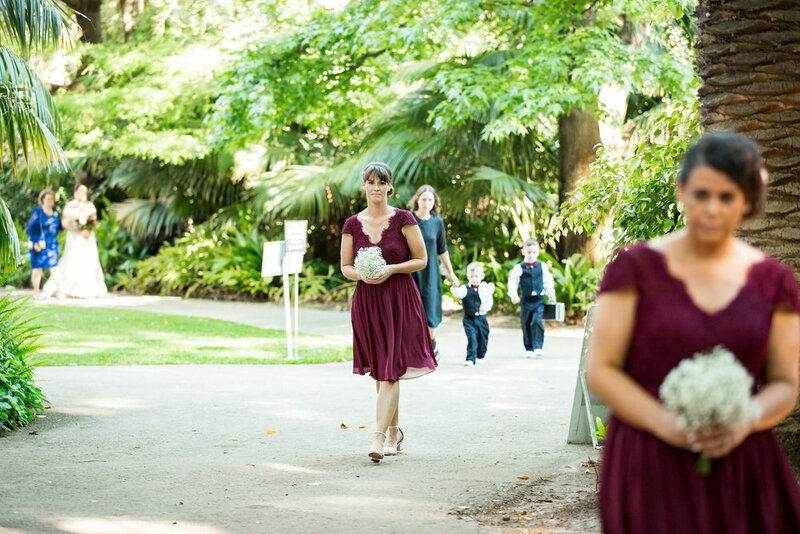 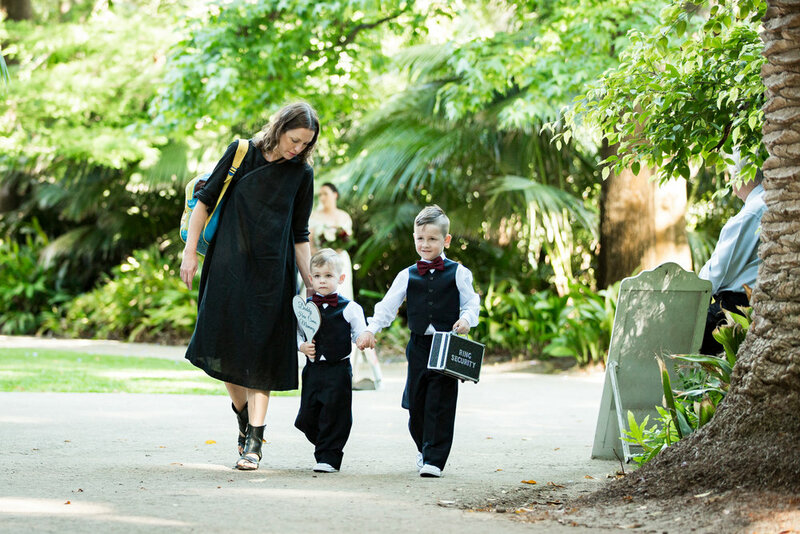 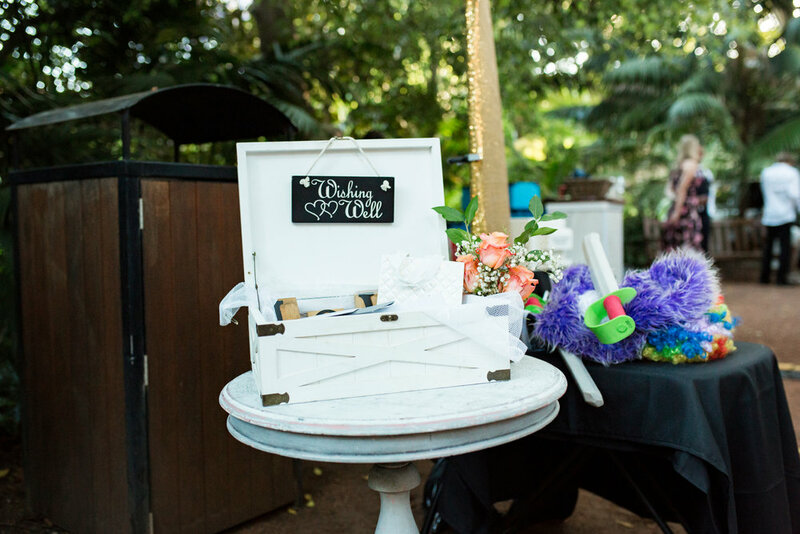 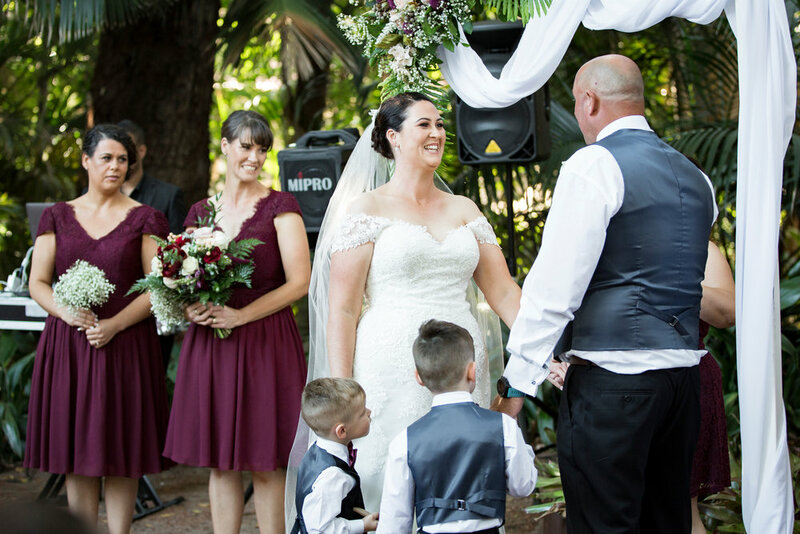 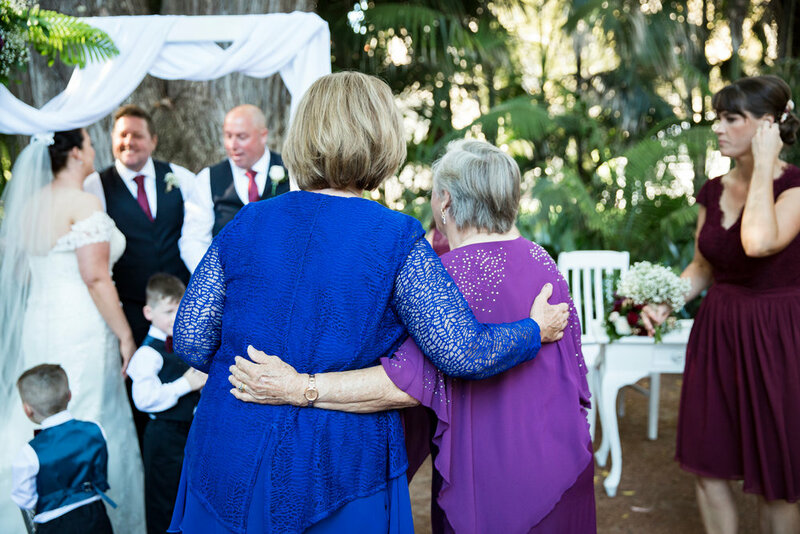 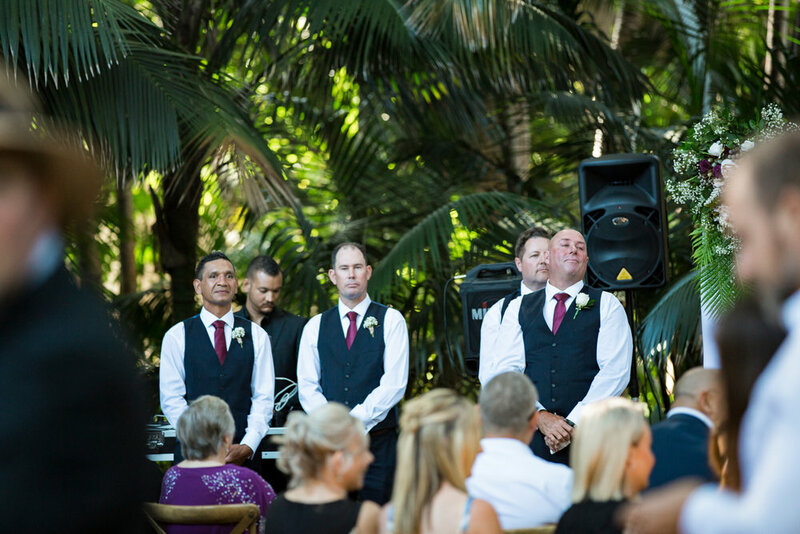 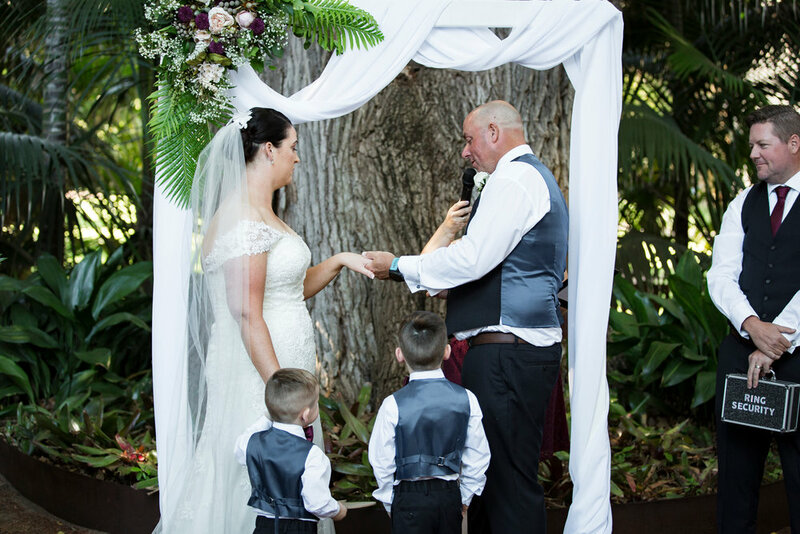 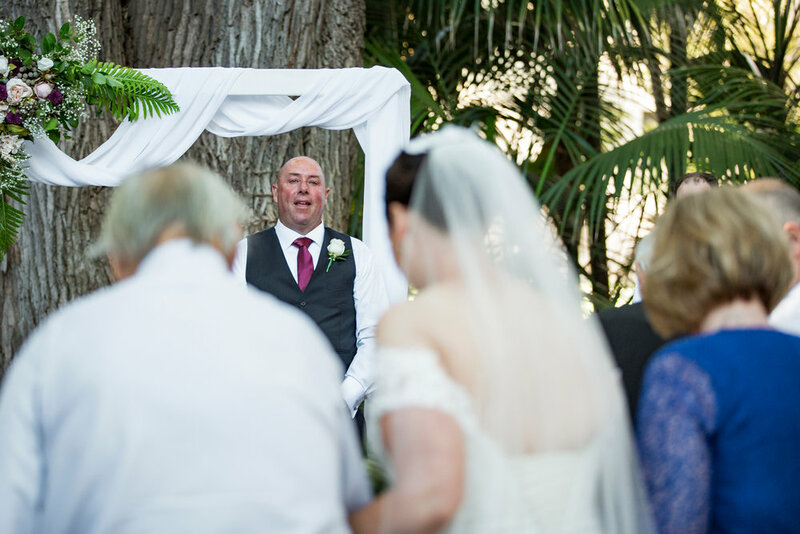 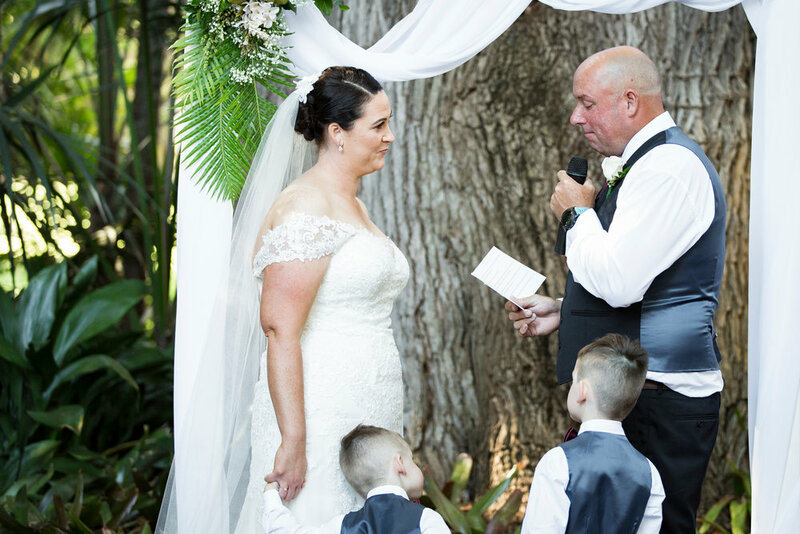 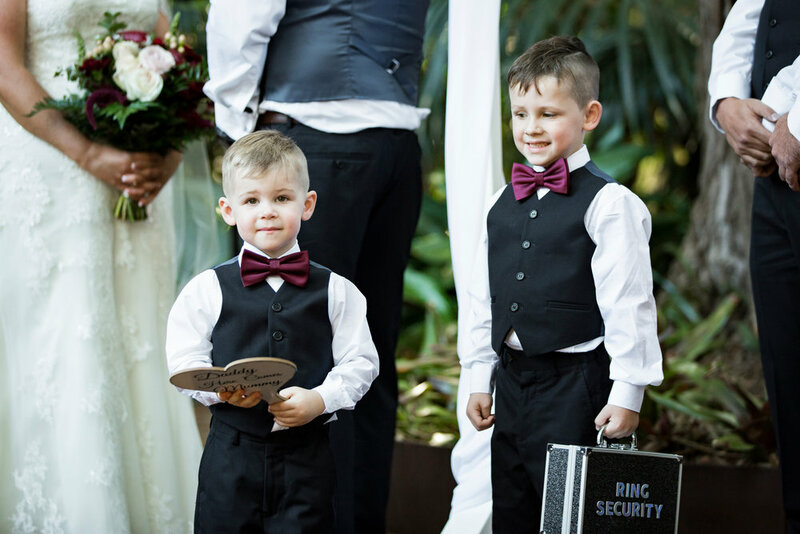 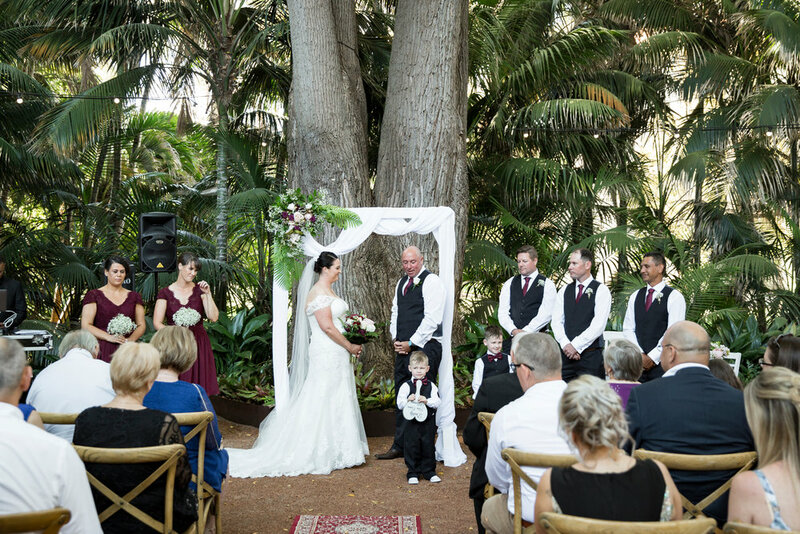 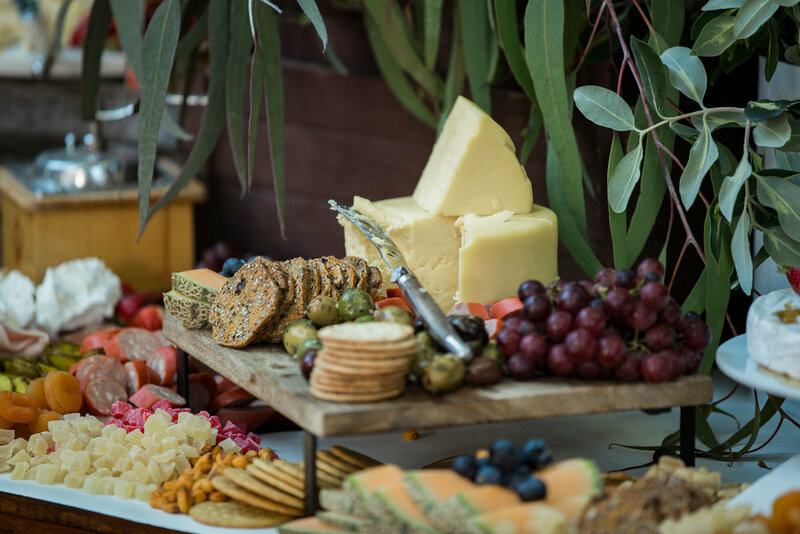 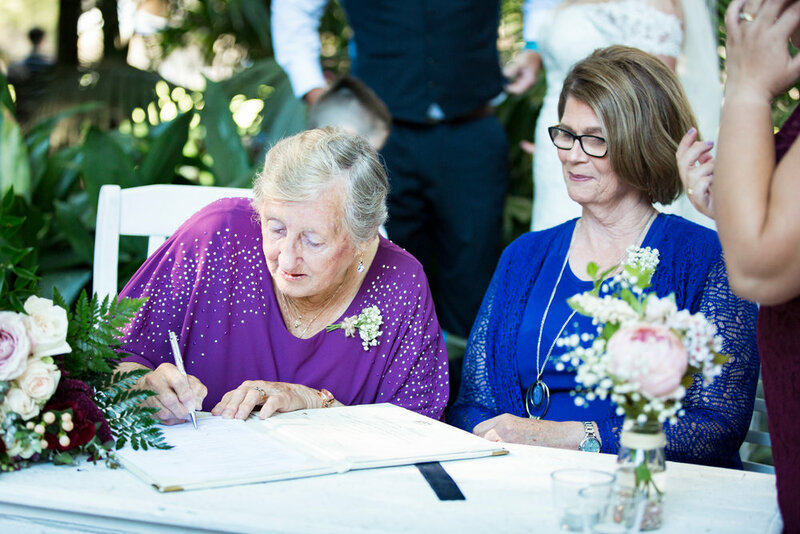 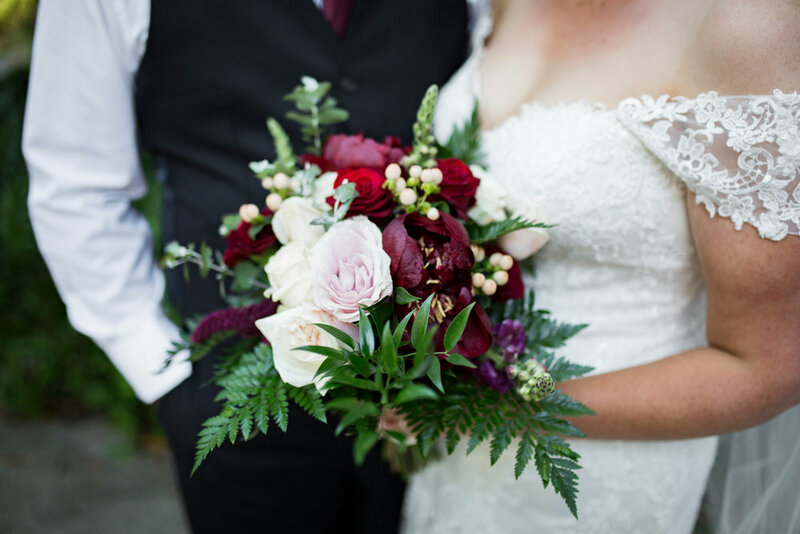 Kyme & Steve opted for the lush Tropical Gardens at UWA for their Pop Up Wedding in early December. 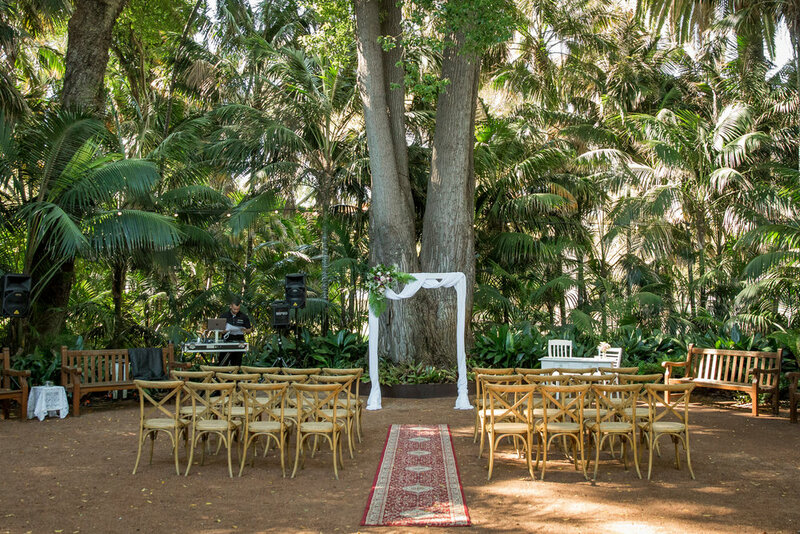 The perfect location in Perth if it is going to be a scorcher as it is fully shaded, or if it is going to be crazy windy as it is so protected, pretty much the two weather conditions of a Perth summer! 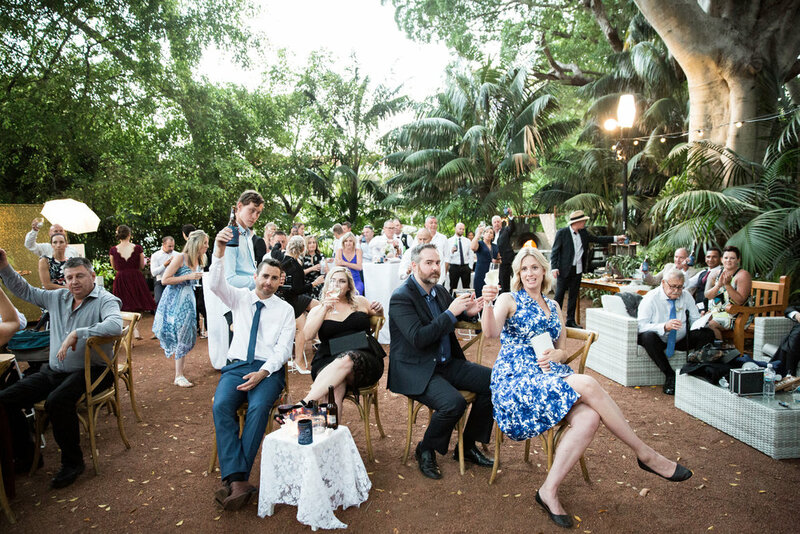 UWA also provides the perfect grounds for a quick portrait session with the Pop Up photographer, Jasmine Skye and then a quick return to where the party is!